Canvas Salon & Gallery is hosting their Spring Exhibition art opening this Saturday, April 16th from 6:00 p.m. to 7:30 p.m. Each one of the gallery’s exhibitions brings high quality works by Western New York artists to Clarence. Canvas is located at 9520 Main Street. The three-dimensional works of Joseph Delmonte will featured during the spring exhibition. 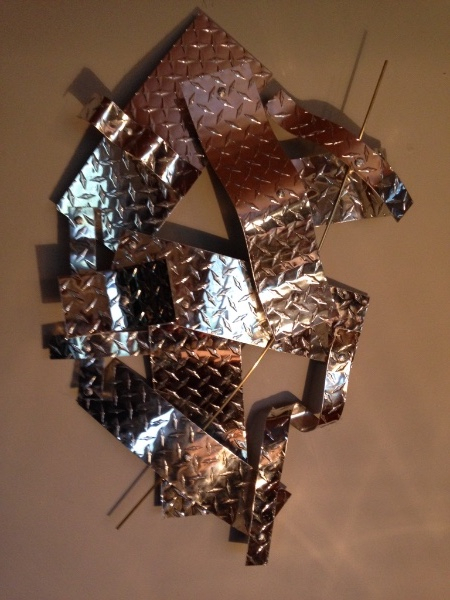 As founder and owner of Del Monte Designs for over thirty years, Joe has had his works commissioned on a National level and throughout Western New York, specializing in three dimensional wall sculptures, which integrate mixed media consisting of canvas, wood, aluminum, copper and brass. The mindful arrangement of these elements plus the abstraction of context, allows the viewer to engage in an individual interpretation of the work. 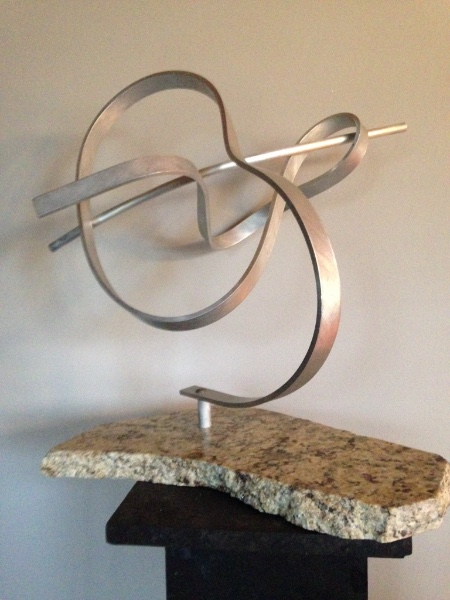 The artist also enjoys personalized consultations, with both his residential and corporate clientele resulting in beautiful one of a kind pieces. Joe’s artwork has been on display and sold at galleries such as Art Dialogue, Chautauqua Art Institute, Key West Caribbean Gallery, Artisans Alley, Arnack Art Gallery, Point of View and Everything Elmwood. Joe’s corporate wall sculptures can be seen at The Great Batch Company, Serotte, Reich, Siepp Immigration Law Office, and M.J. Peterson Corporate Real Estate Firm. The event is free and open to the public. There you will enjoy complimentary appetizers, wine and beer served by The Hollow Bistro and Brew and listen to music performed by award winning guitarist, Shawn Duchscherer. Meet the artist and get a first view of pieces available for purchase. Previous Previous post: Main Street eateries participating in WNY Local Restaurant Week.